Good evening, ya’ll! I’ve had the day from hell at work with 10 hours of constant talking so tonight I needed to dream a little and think forward, past this summer, even past the next few months. I’m approaching my third and last year in university and as such I’m also approaching my graduation trip. Since starting university I always knew that I was going to go travelling a little after I graduated and the time is getting close enough that I have started to consider my options. However, I’m struggling to choose between the destinations below… where do I go? Picture borrowed from CNN. No copyright infringement intended. 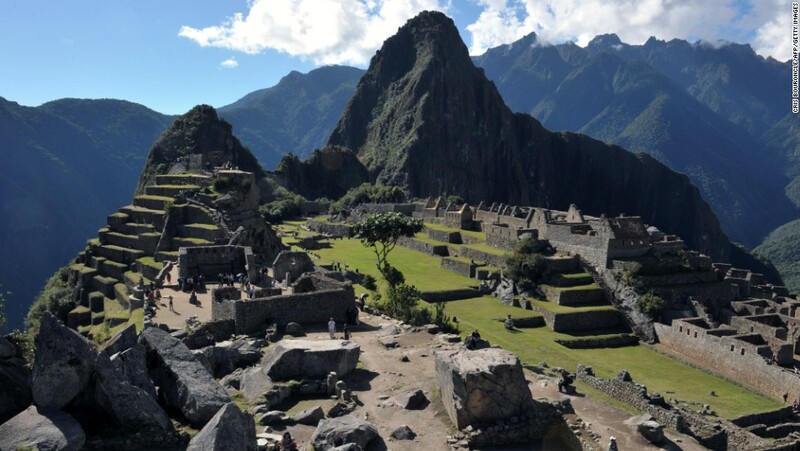 Peru and Inka Trail with/ or without the Machu Picchu 4 day trek. This has been on my list over things I want to do for a good long while now, but it’s quite an expensive journey as well as quite a challenging trek. I need to be in better shape than I am now if I’m going to do the trek and… well … if I’m going to South America I might as well stop by Brazil and Rio de Janeiro to visit a friend there too. This trip it would be 2 weeks minimum, possibly 3. European City Break (possibly Barcelona, Spain or Warsaw, Poland). I haven’t visited Warsaw or Barcelona yet, but these are also on my to-see list. If I can’t manage to get a longer trip to happen (finances or timing or whatever reason) I will probably do one or the other for 4-5 days. I´m hoping to go to at least one of them in 2016 and a possible time for that would be after graduation. Vietnam Exploring Asia is also on my to-do-list and Contiki offers some interesting packages. The trips are suppposedly full of all the best local experiences and sights, but it will possibly be a little too tourist-y for someone who likes to explore outside tourist areas. However, as a 21 year old female I’m not sure I would feel comfortable travelling to Vietnam on my own and this group trip therefore seems like a viable option. Working holiday in New Zealand or Australia. Now this is a big one. It’s also an adventure that I´m not sure I will be ready for right after I graduate due to wanting to pay back some of my student loans (Norwegians have to pay international student fees at universities in England which turns normal happy teenagers into miserable debt slaves of doom). I wanted to put it in this list though, because it’s something that’s been on my mind for years. If there ever was a time for 6-12 months in Oceania it would be just after finishing uni, but before starting my Grown Up Job (gaaaah help). I’m leaning towards Vietnam at the moment, but I really don’t know what would be the most worthwhile trip to take. I just know that I’m itching to travel, to explore, to discover. I’m once again craving a new culture and new impulses. Due to my long distance relationship and my family being so far away I also know that a lot of my travel budget will be spent on journeys to and from loved ones, which is why a city break might be the best choice. However, I also know that I should travel while I can and while I have the freedom to do so, before my Grown Up Job swallows me whole. I should follow my wanderlust to the far corners of the world and see the places I dream about. But if so, which of these should I visit first and what dream do I follow?